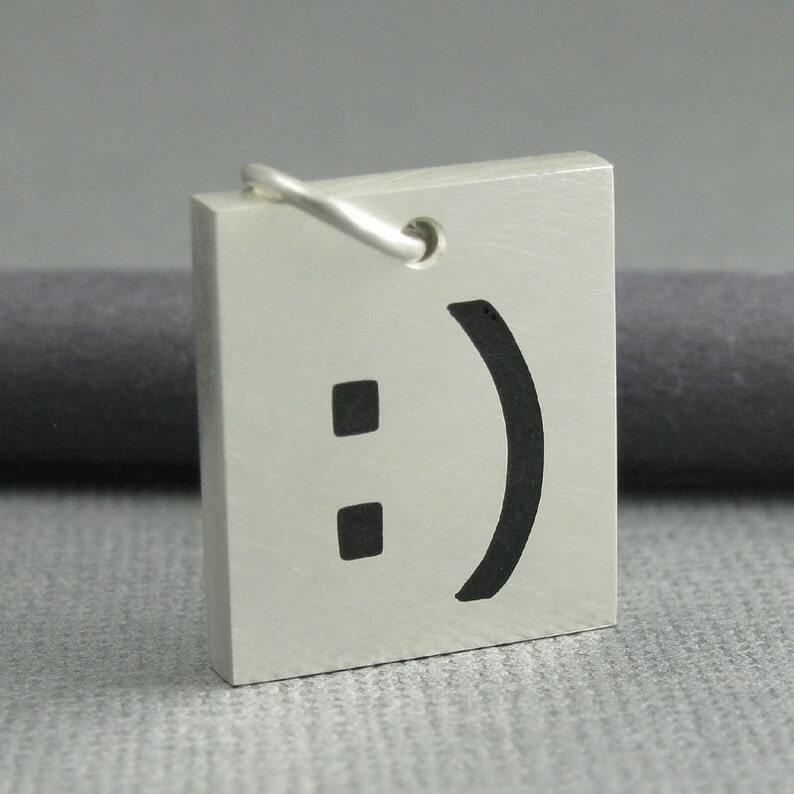 Solid .925 sterling silver smiley emoticon pendant with a brushed matte finish. silver typed smile :) sterling silver computer smiley icon pendant. artisan handmade solid sterling silver smiley face symbol pendant for men or women. 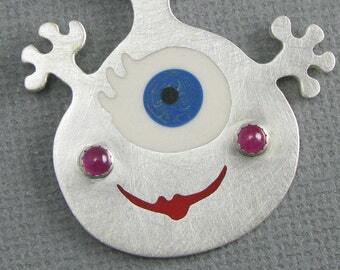 I create this pendant by first piercing the :) smiley emoticon symbol out of a sheet of sterling silver. This cut piece is then hand soldered to a thicker sheet of sterling silver thereby creating a channel in which to pour the black resin that I mixed by hand. Once the resin is cured, I then sand and finish the pendant to create a level surface with a brushed/scratchy style matte finish.